Josie Appleton talks to Pierre Nora and Olivier Salvatori of the Liberté pour l’Histoire initiative in France. Laws criminalising ‘genocide denial’ started to appear in Europe in the 1990s. Initially these addressed only the Holocaust, but later spread to cover denial of ‘crimes of Communism’, and state-recognised genocides such as the massacre of Armenians under the Ottoman Empire, or the Ukrainian famine of 1932-3. A 2008 EU Framework decision suggests that ‘publicly condoning, denying or grossly trivialising crimes of genocide, crimes against humanity and war crimes’ should be punished with between one and three years’ imprisonment . . .
No country has taken to memory laws more than France, for whom the business of legislating on the past has been described as a national sport. It began with the 1990 Gayssot Act, which punished Holocaust denial with fines and imprisonment. A decade later legislation came thick and fast: a 2001 law recognised the Armenian genocide, while another law that year defined the slave trade and slavery as crimes against humanity. A 2005 law recognised the positive role played by French colonialism, with a provision prohibiting criticism of, or minimisation of crimes against, harkis (Algerians loyal to France). A 2006 bill attempted to punish denial of the Armenian genocide; though this failed to pass the issue resurged in 2011 with an Act that punished denial or minimisation of the genocide with a €45,000 fine and a year in jail. Yet it is also in France that there has been the staunchest opposition to these laws from historians. The umbrella group Liberté pour l’Histoire formed in 2005, and over the past seven years has taken on memory laws with a vangardist temper not often seen from this traditionally demure profession. I met the head of the organisation, historian Pierre Nora, and the group’s secretary Olivier Salvatori, at the offices of Gallimard publishers in Paris where they work. Liberté pour l’Histoire has long argued that such laws violate the French constitution and the founding principles of the modern state. Their 2008 petition, Appel de Blois, declared: ‘In a free state, no political authority has the right to define historical truth and to restrain the freedom of the historian with the threat of penal sanctions’. Nora tells me that ‘Memory laws are completely different to laws on defamation, which protect individual rights and can be derived from the constitution.’ Memory laws aim not to protect rights but to lay down historical truths, under threat of penal sanctions. The implications for historical investigation are profound. ‘What if somebody writes a book saying that 10 million rather than 12 million Africans were taken by the slave trade – are they guilty of a crime?’, asks Nora. The state is ‘prescribing limits’ for historians, telling them ‘what they should research and what they should find’. The group launched a petition in 2005 in response to the prosecution of historian Olivier Pétré-Grenouilleau for ‘denial of a crime against humanity’, after he said in an interview that in his view the slave trade was ‘not a genocide’ since ‘it didn’t have the goal of exterminating a people’. The last time European states prescribed historical truths under threat of penal sanction was under blasphemy and heresy laws. Yet contemporary memory laws are quite distinct from these old state-ordained truths. 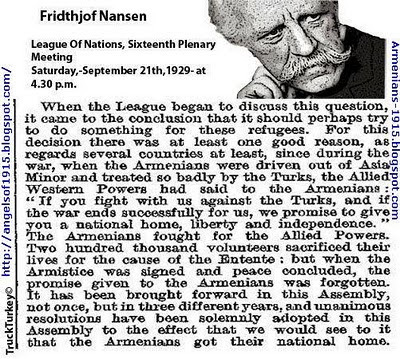 The striking feature of French memory laws is their lack of any overriding logic: one law is pro-colonialist, two are apologetic (though for events several centuries apart), and one (the Armenian genocide law) deals with an event that didn’t involve France at all and which many French people would not have heard of. It’s not clear why a French president would be suddenly gripped with an urgent need to legislate on the 1915 massacre of Armenians, such that he would rush this law through –against opposition from his advisers – to be passed by an unprecedented hand-vote by a mere 50 deputies. ‘We don’t understand very well why they did it’, said Nora, ‘There are lots of hypotheses’. Some suggest that the drive could be geopolitical, putting off Turkey’s entrance to the European Union. A bigger factor is electoral: Armenians are an important voting bloc in key areas such as Marseille and Lyon, and it is no coincidence that the Armenian law initiatives appeared in election years. The 2011 law was adopted by the deputy for Marseille, who was also vice-president of the Armenia-France Friendship Group. The precondition for memory laws is the moralisation of history – or more specifically, a shift from victory-history, whereby nations exaggerated their past heroics, to victim-history, where groups emphasise their past sufferings. The demand for recognition of historic suffering is implicitly a claim made through the state; it is ultimately a demand for compensation for wrongs suffered, whether in the form of monies or ideological protection. Terms such as ‘genocide’ and ‘crimes against humanity’ are now part of the everyday business of political claims-making. ‘These terms were once very precise’, says Nora. ‘A crime against humanity was a legal term applied after the Second World War, which involved the legal duty to pursue and bring to justice the authors of the Holocaust until their deaths. Genocide meant the decision to destroy a part of a population for racist reasons’. Now events including civil wars and the slave trade can be described in these terms. In Nora’s view, ‘it is a judicial absurdity to say that an event such as the slave trade was a crime against humanity’. The authors of that crime are several centuries long gone, and their intention was not to destroy a population. The more that the word ‘genocide’ is used broadly for ideological reasons, the more it becomes ‘a word that historians try to avoid’. Nora says that historians can cope with these cultural trends, so long as they are not embodied in laws – and consequently so long as historians are free to challenge or ignore this use of the past. It is memory laws that are the problem and need to be scrapped. In this, Liberté pour l’Histoire has been remarkably successful. Though Salvatori tells me that the group is ‘not much of an “organisation”’ – there is no office or staff – they have made their voices heard throughout the media and at the highest echelons of state. ‘Our ideas have won the battle of pubic opinion’, judges Salvatori. To all intents and purposes, the group has managed to render France’s memory laws null and void. A 2008 parliamentary enquiry – at which Liberté Pour l’Histoire gave the opening and closing testimonies – issued the resounding conclusion that government should refrain from legislating on history. Most importantly, the group achieved the suspension of the 2011 Armenian genocide law by the Constitutional Council, which found in a landmark decision on 28 February 2012 that the law was unconstitutional on the grounds of infringement on freedom of expression. For now then, the threat of memory laws in France appears to have subsided. But the lesson of the past seven years is that the impulse to legislate on historical events reappears again and again, often without warning and in surprising guises. Quite soon after being elected last year, François Hollande expressed his desire to return to legislating on the Armenian issue. ‘Liberté Pour l’Histoire should remain vigilant’, the former justice minister Robert Badinter told the group’s general assembly: there could well be more memory laws. ‘We are not disbanding’, says Nora. This informal network of historians has furnished Europe with an impressive case study of free speech campaigning. With the slogan ‘liberty for history is liberty for all’, they have defended not only the freedom of their profession but also the founding principles of the democratic state. Josie Appleton is director of the civil liberties group the Manifesto Club. 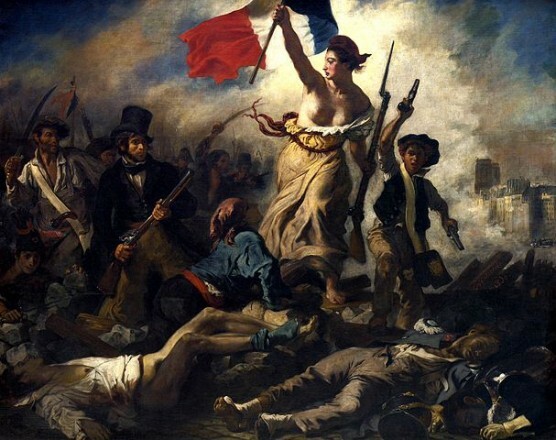 Speeches and articles about Liberté pour l’Histoire can be found on the group’s website. 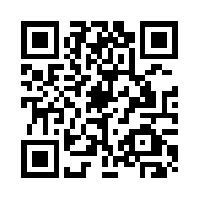 You can sign the 2008 Appel de Blois or subscribe as a member. In contrast to the remainder of the interview, this passage is full of confusion. A few clarifications, sentence by sentence. This is correct, but the terms are now more precise than in the past. For the first definitions of “crimes against humanity” and “war crimes,” see articles 6b and 6c of the Charter of the International Military Tribunal (IMT) at Nuremberg (1945); for the first definition of “genocide,” see article 2 of the Convention on the Prevention and Punishment of the Crime of Genocide (1948). For presently internationally accepted definitions, see International Criminal Court (ICC), Statute (1998), article 6 for genocide (which definition is identical to article 2 of the Genocide Convention), article 7 for crimes against humanity (which definition is a complete redrafting of IMT text), and article 8 for war crimes (which definition is based on 1949 Geneva Conventions and 1977 Additional Protocols). In general, the passage confuses genocide and crime against humanity: every genocide is a crime against humanity, but not every crime against humanity is a genocide. This is correct: the perpetrators of the Holocaust were tried for crimes against humanity and war crimes under the IMT Charter. But the Charter definition of crime against humanity is not “the legal duty to pursue and bring to justice the authors of the Holocaust until their deaths”; it is “murder, extermination, enslavement, deportation, and other inhumane acts committed against any civilian population, before or during the war; or persecutions on political, racial or religious grounds in execution of or in connection with any crime within the jurisdiction of the Tribunal, whether or not in violation of the domestic law of the country where perpetrated.” At Nuremberg, the perpetrators of the Holocaust were not tried for genocide because the IMT Charter did not yet contain the genocide category. The United Nations General Assembly first affirmed that genocide was a crime under international law in Resolution 96 (I) (“The Crime of Genocide”) (11 December 1946). Genocide was a crime that only came into legal existence with the adoption of the Genocide Convention in 1948 and the latter’s entry into force in 1951. The Holocaust of 1939-1945 has officially been called a genocide since the adoption of the Genocide Convention. Nobody can protest in earnest against this case of retroactive labeling because the Genocide Convention was drafted precisely with the Nazi atrocities in the minds of the drafters. And many other crimes in history conform to the official genocide convention. This is not accurate: the genocide definition speaks of an intent to destroy in whole or in part; and the groups mentioned in the genocide definition do not only include racial groups, but also ethnic, national and religious groups. (1) A civil war cannot be described as a genocide, a crime against humanity or a war crime. A civil war is the context in which such crimes may occur. In its 1977 Additional Protocols, the International Committee of the Red Cross was the first to distinguish the context of international war from the context of a “war not of an international character”. Such a distinction was urgently needed because by only covering gross crimes committed in international wars, a huge percentage of all gross crimes stayed in the dark. The distinction international / internal is also adopted by the ICC, but only for its definition of war crimes. (2) For the slave trade, see my next point. ** “It is a judicial absurdity to say that an event such as the slave trade was a crime against humanity”. This is not accurate: the slave trade is a crime against humanity but it is not a genocide. The ICC Statute determines that enslavement (a summary name for slavery and slave trade) was a subcategory of “crimes against humanity.” The Declaration of the 2001 World Conference against Racism, Racial Discrimination, Xenophobia and Related Intolerance reiterated this view. Some define slavery inaccurately as a genocide or a “Black Holocaust,” but the slave traders’ intent was not to destroy the slaves but to exploit them as cheap labor. This was the view correctly held by Olivier Pétré-Grenouilleau (and correctly rendered earlier in this interview, but not in the passage I discuss here). ** “The more that the word ‘genocide’ is used broadly for ideological reasons, the more it becomes ‘a word that historians try to avoid’. It is correct that the word “genocide” is often abused (as in the example of the Black Holocaust above). Avoidance by historians of the term for that reason, however, is a weak offer. Some crimes are genocides, others are not. The use of recent concepts is not necessarily anachronistic and often plainly better than the use of concepts en vogue at the material time of the crime. (Space lacks to develop this important point here). We already saw above that retroactive labeling can be fully justified. In fact, historians do little else than retroactively labeling of historical events. To be sure, scholars and others retain the right not to adopt labels defined under international law for historical practices. They should, however, explain why their alternative label or definition is superior. I find such explanations, if they are given at all, seldom convincing. In cases of recent historical injustice, it is not recommended to define the nature of a given crime differently from international courts with their elevated standards of evidence and huge research departments. In cases of remote historical injustice, the use of either historical or recent concepts has to be painstakingly justified. I elaborated these points at length in my “Historical Imprescriptibility,” Storia della Storiografia (September 2011) and “Conceptualising Historical Crimes,” Historein, no. 11 (2012). It is, of course, deeply ironic that governments, in order to appear to be anti-fascist, resort to exactly the sort of anti-free-speech methods that might have been recommended by Goebbels himself. 1- If commentators would read 60th-anniversary-of-genocide there should be no more argument as regards "what qualifies as crime of humanity or genocide" and most important of all, "who is the authority to decide" on the charge? At the present this is the United Nations and all claims must go to the special rapporteur appointed under General Secretary in 2004. Copy of “Note Verbal” by Secretary-General Sir Eric Drummond, dated March 1st, 1920. Page 2: “Further, in Turkey, minorities were often oppressed and massacres carried out by irregular bands who were entirely outside the control of the central Turkish Government." 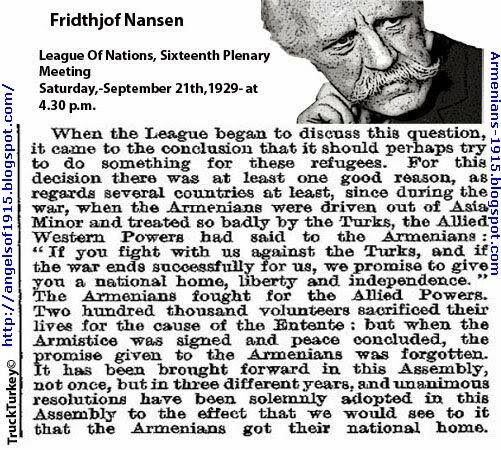 b- if-armenians-fight-with-us-against the Turks . . CONCLUSION: What is the argument? Aren't above documents by highest authorities clear and loud enough? I compliment and appreciate "Liberté pour Histoire"...But I think we have more than enough "Verite de la Histoire"
which some people do not want to see or like to admit. They neither apply to the available authority!